One of my favorite comfort food snacks has always been pickles. When I first began learning how to cook, pickles were something I wanted to learn how to make. Of course I learned the basics of refrigerator pickles, then typical pickles made in a vinegar bath. It wasn’t until I learned about fermenting a few years ago that I really came across the idea of fermented pickles. This opened up a HUGE new topic in my search for pickle recipes. I had known that cucumber pickles were not the only pickles for several years, but it wasn’t until I started experimenting with ferments that I really began to appreciate more of the non-cucumber types out there. Shortly after taking a class on fermenting (taught by my friend Caitlin), I decided to try fermenting everything in my refrigerator. This led to some crazy experiments and wonderful discoveries. One of my favorites is fermented lemons. After I fermented my first batch of lemons, I found out that fermented lemons are a tradition in both Italy and Morocco (all three recipes will be included in this post). However mine were slightly different. First, I sliced my lemons into circles before adding the brine. Secondly, my brine was just simple salt water. The lemons ended up being absolutely amazing (the rind being particularly buttery and delicious) and they can last up to 2 years in the refrigerator! The method of fermentation that is used for these recipes is lacto-fermentation. When you first read the name “lacto-fermentation,” you may assume this has something to do with dairy. Well, good news for all of your lactose intolerant people out there, it doesn’t. Lacto-fermentation is actually in reference to lactic acid. All fruits and vegetables have a measure of beneficial bacteria, such as Lactobacillus, on their surface. When you place these fruits and vegetables in an oxygen free environment (anaerobic), like submerging them in water, the bacteria will begin a process that consumes sugars and produces lactic acid. Lactic acid prevents the growth of harmful bacteria and preserves the fruits and vegetables. Since it is an acid, lactic acid is also the source of the characteristic sour flavor found in fermented foods. This also greatly helps the human digestive system by repopulating the beneficial bacteria that lives in our guts while fighting the harmful bacteria that occasionally gets ingested and attempts to take over. Many of you will already be familiar with the health benefits of lemons, or even ferments. However this dish combines both in a delicious way. 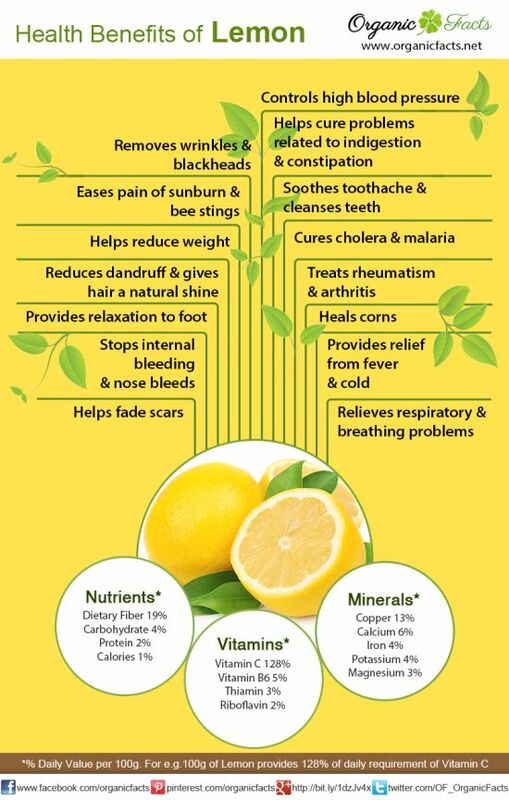 Lemons are high in vitamin C as well as many other vitamins and minerals. One of the main ones to note is potassium. In modern America, our diets are sorely lacking in potassium. This is leading to a great number of health issues that are being attributed in an excess of sodium. Potassium and sodium work hand-in-hand in our bodies. For our bodies to function properly, our sodium and potassium levels need to be balanced. While yes, too much sodium is going to cause issues (too much of anything will cause issues), a lack of potassium will only make matters that much worse. Lemons can help to combat the growing potassium deficiency problem. Lemons are also great to help boost the immune system and to cleanse the stomach. Add in the amazing digestive power of the probiotics you get with any ferment, and this recipe is great powerhouse to help improve your digestive system. As an added bonus, you can even drink the brine after the lemons are all gone. It is full of electrolytes to help you recover from the intense summer heat (particularly helpful if you live in Florida like I do). Just think of it like an all-natural, DIY version of Gatorade! Add salt to water and stir until it is dissolved. Add lemons to jar, leaving a ¼ inch space at the top. Pour salt water brine over lemons. If the brine does not completely cover lemons, make another batch to add in. Make sure the lemons are covered, but don’t let the brine reach the very top, you need that space for the ferment to “breathe” while it is working. Put the lid on the jar, label it (your label should have the name of your ferment as well as the date) and forget it for at least 2 weeks. I let mine sit for 3 weeks before opening it, however it may be ready sooner. The thing you want to look for are bubbles. If the ferment is still working, it will be making bubbles. I wait until the bubbles are minimal or gone before opening mine, though being a bit hasty won’t hurt a thing. If you really want to get fancy, you can add herbs to your lemons to change the flavor up a bit. Some of my favorite herbs to add to lemons include garlic, ginger, rosemary, or basil. Get creative! Lavender might make for a nice, relaxing treat. Parsley might be good to add for a refreshing palate cleanser between courses at dinner. Remember, you can use these lemons slices in any recipe that calls for lemons. Feel free to play around with flavors to make your recipes more exciting! The following recipes are ones that I found on the more traditional fermented lemons. Wash lemons and trim off the tips, making sure not to cut into the flesh. Cut lemons into quarters, stopping ¼ inch from the bottom to keep the quarters connected. Stuff 2 teaspoons of salt into each lemon, gently compacting it into each segment. Pack lemons into 1 ½ liter container. Mix remaining salt with lemon juice. Pour this brine over the lemons. Lemons should be ½ inch below the level of the brine, if not add filtered water to raise the level. Secure the lid onto the jar and sit in a dark corner for 30 days. Use the Italian recipe, but add in the following herbs/spices.